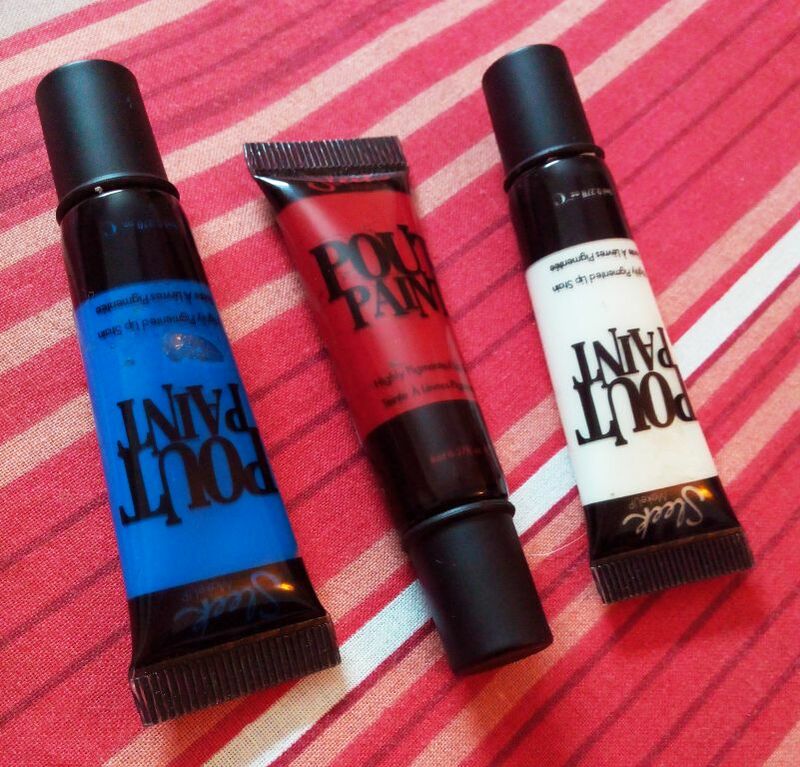 I finally got my hands on some Sleek Pout Paint! I have been waiting for these to be available again so bought three of them the first chance I got, Pin-up, Peek-a-bloo and Cloud-9 (thinking of getting Lava, Mauve Over and Peachy-Keen as well and the mixing set will be complete). When these three shades arrived I was initially a bit disappointed by the size of the tiny tubes. In my head they were MUCH bigger. Playing with the paints, mixing them and creating new shades reminded me of my art classes. It was lots of fun. 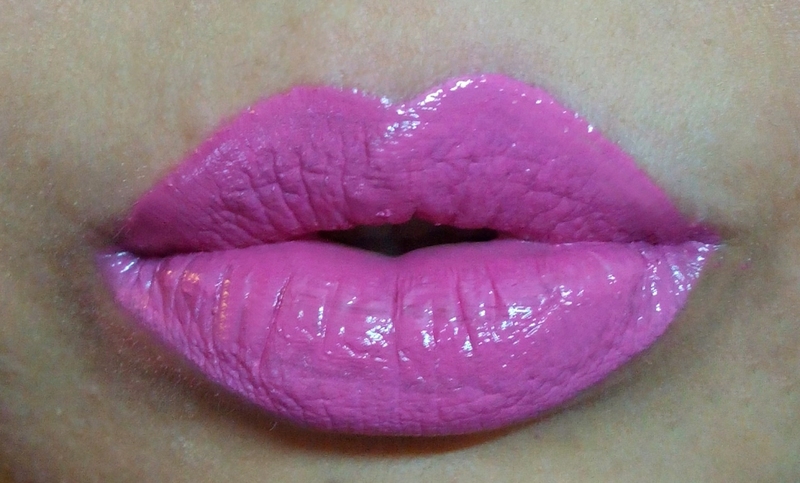 The colors are really intense and just a tiny drop size is more than enough for your lips. 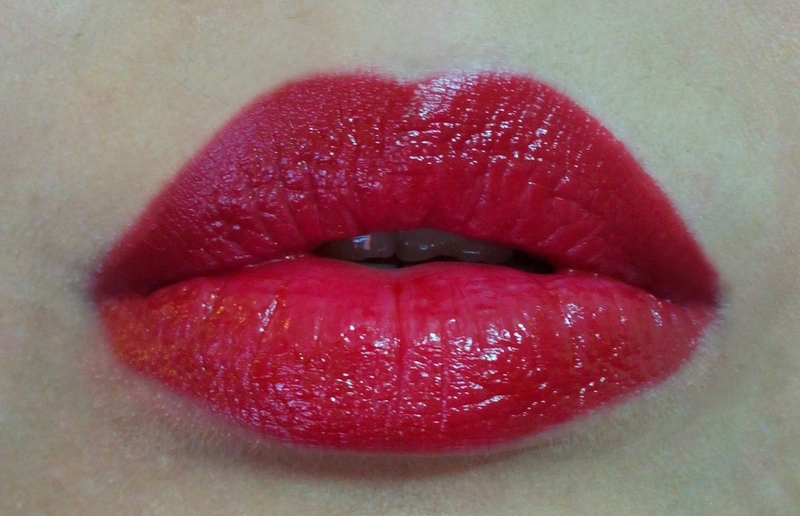 The initial application is quite glossy but you can make it look subtle by dabbing tissue on your lips to remove excess. Dab a little more and they look like lip tints.Voila! I would also suggest getting small containers to store the shades you make in case you want to use them again. The original Pin-up red is cherry colored and quite delicious. More of Pin-up and less of Peek-a-bloo. Give them a Go Go if you love experimenting and playing with color. I love Pin up! Ive been wanting to get the red and the white to make my own shades. you better get them!! :) before they finish again! Thanks Haniya. it was not that hard, give it a go! Wow I love all the colours you came up with, think I'll be having a look out for these. I don't know how I'd just been wandering round the store and completely bypassing Sleek products for so long, I've read nothing but good things about them recently. Great post. thanx for the follow huney, followed back. Awww thanks for the lovely comment and follow back! They look so gorgeous. 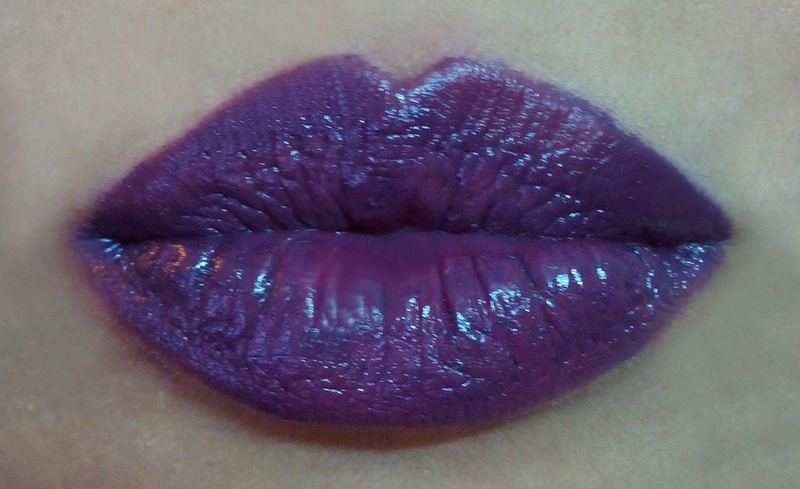 I love purple lips, especially for Halloween! 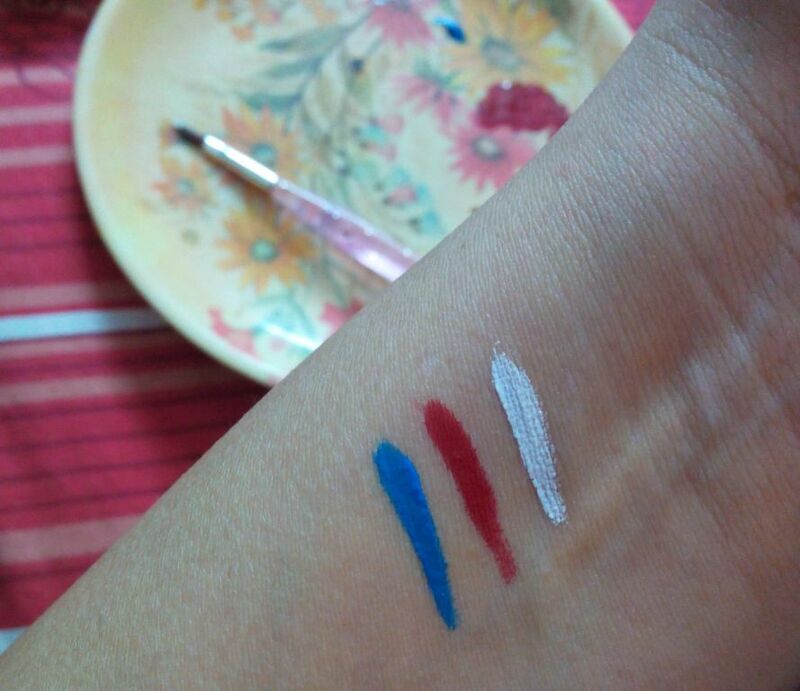 The second shade is divine! I need one for the winter. also, would you like to follow each other? let me know! These are great for experimenting and having fun With :D Try them. And yes following you on GFC and Bloglovin so hope you follow back soon! I nominated to you for The Versatile Blogger Award. Nice :) Checking it out! Fabulous Shades, love the pink! As usual phenomenal post! How do you get your inspiration? we would love to have you as a writer for www.braindirector.com. Please let us know via email at khuram@doctor.com if you are interested.